Self and wife, and sister Sian and her husband Kit have spent a week in Edinburgh as guests of the tremendously genial and accommodating Drs Graham and Smith, Stephen and Teresa, who take an enormous and handsome apartment (it isn't really a flat) in Stockbridge every year. 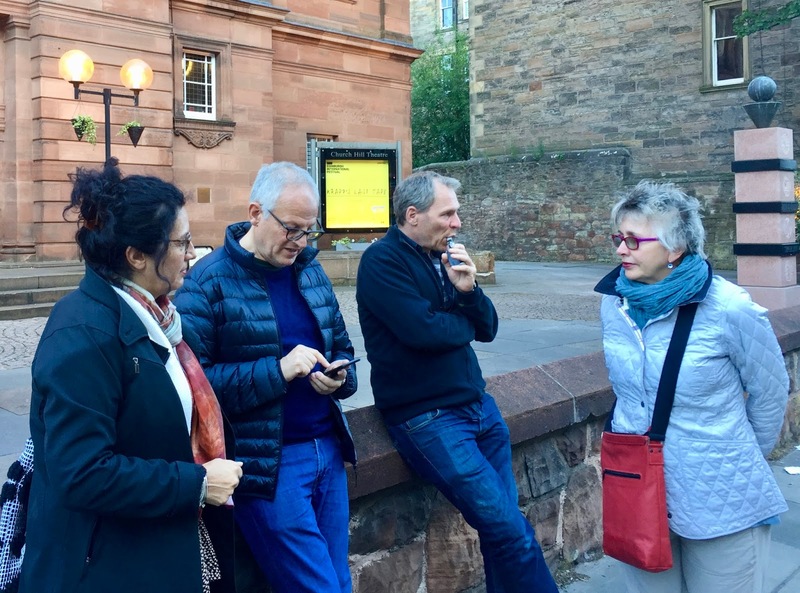 New York, Madrid, Naples, Venice, Parma, Bangor (Gwynedd) - names that cropped up as we tried to describe Edinburgh to each other. An extraordinary city. Around each corner something to wonder at - the spire count puts Oxford to shame. In the National Gallery of Modern Art there is an installation by Nathan Coley, which features cardboard models of the 286 places of worship in the Edinburgh Yellow Pages. And what colour is this city? Biscuit? Nope. Bath is biscuit. Grey? Nope. Aberdeen is grey. There is a dusting of charcoal darkness over nearly everything. Mushroom perhaps. Portobello mushroom? Well, maybe. New York is evoked in the wide streets, Naples in the high tenements, Bangor in the undulations - and associated with this, counter-intuitively perhaps, Venice in the sense of the city's impossibility. It seems to have layers upon layers. There is magic. 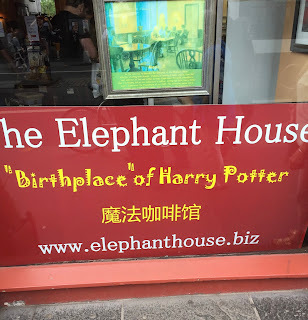 There is Hogwarts (JKR wrote HP in The Elephant Cafe on the George Bridge street). There is occasionally the sense of being on an island, and again this suggests Manhattan. 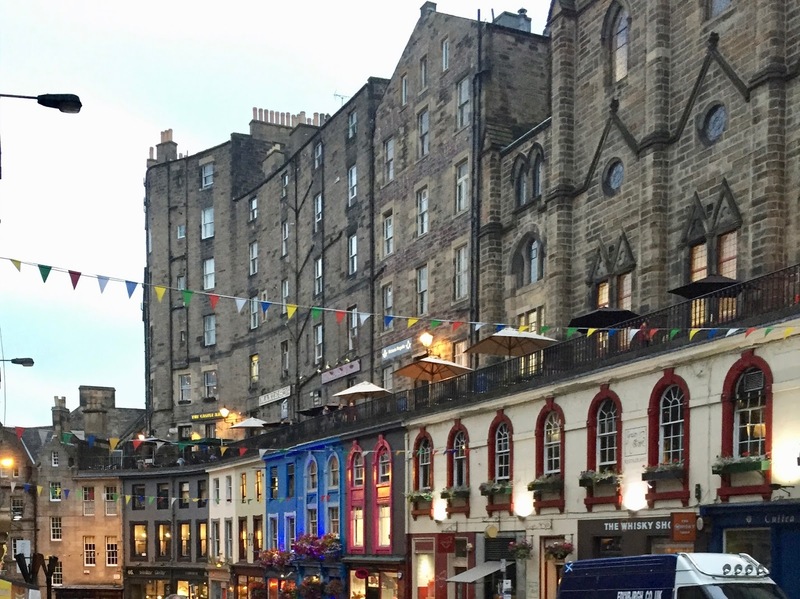 There are wide streets that cross the grand boulevards, and they lead the eye from the sea - the Firth of Forth - to the mountains (the Cairngorms?). We were there to support Sian and Kit's daughter, niece Helena, who was appearing in 'Jimmyville' and who designed the set for 'The Other Half Lives' (much of which got bogged down in the Meadows and was never seen again...). Helena was excellent as a flirty acolyte of a dodgy southern preacher. 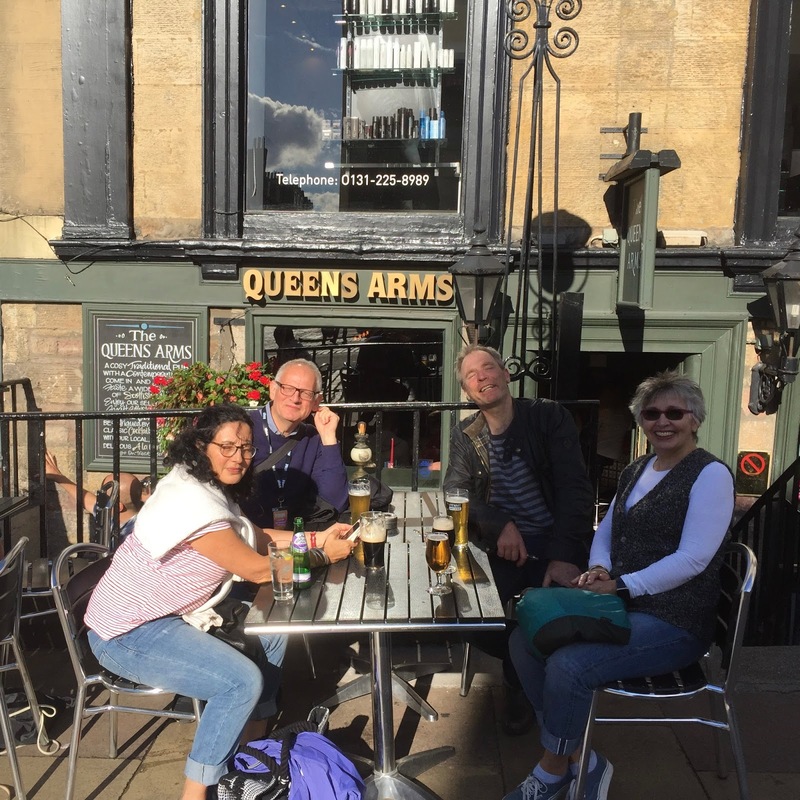 We were also there to encourage Dr Graham's return to the Fringe as a producer, after a quarter of a century (the last time he was responsible for John Logan's 'Hauptmann', which won a Fringe First). This time he was co-producing Christopher Hunter's dramatic interpretation of Shakespeare's 'Venus and Adonis'. It was described in the Observer as "finely crafted and movingly delivered", and so it was. After sparseish audiences in week one, word has spread of its excellence. Five star stuff. 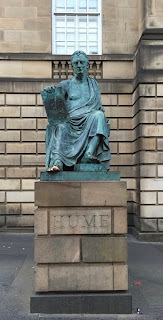 If you're reading this and in Edinburgh - go! We ate exceedingly well, at Scran & Scallie in Stockbridge, at Contini in George Street, at Copper Blossom (also Geroge Street), plus some goodish street food. We had elegant tea-drawing timing devices at Eteaket. 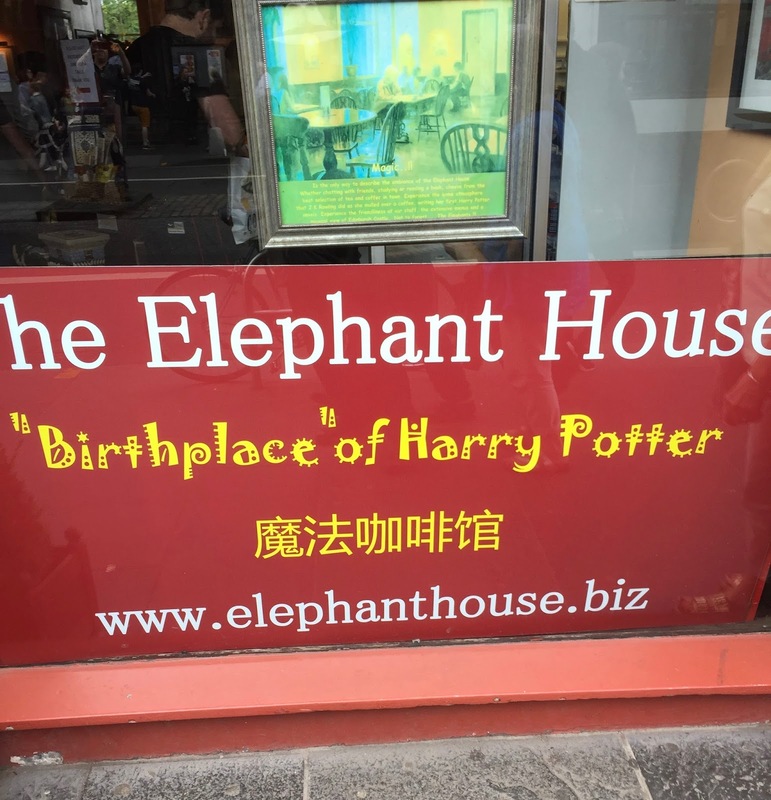 What did we see? We saw 13 or 14 shows of one kind and another. Outstanding was Barry McGovern in 'Krapp's Last Tape', part of the International Festival. 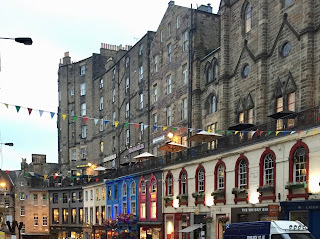 Everything else was Fringe stuff: Niv Petel was extraordinary in 'Knock Knock'; Daniel Cainer was funny and moving in 'More Gefilte Fish'; Matt Forde does an excellent Trump; Tom Stade was very funny indeed despite an obnoxious heckler. Choir of Man was very good fun. although our host Dr Graham found it 'generic' and compared it to an X Factor boy band. About many things he is acute, but - well, the rest of us enjoyed it. Apart from an occasional light sprinkle of rain,, we had wonderful weather, cloud-scuddingly blue skies, and actual heat while London soaked. 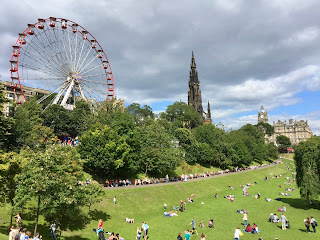 Edinburgh is, in many ways, much grander than London, more obviously a capital city. 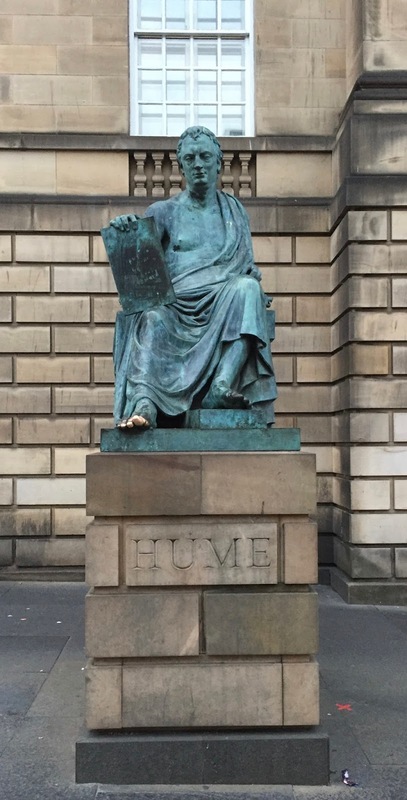 Statues of David Hume and Adam Smith remind you that this is one of the great intellectual homes of European civilization. This was my third visit. I hope for more.